Stay Duration : 1-5th August 2016 . We were 2 couples , each with 1 year old toddler & so booked 2 standard rooms. *Check-in/Checkout : Check-in was smooth and quick, well handled by reception managers at 11pm in night . Checkout had some confusion regarding our request for late checkout but management handled it well. * Cleanliness : Property is well maintained and was under expansion till sometime back, but we never felt disturbed at any moment. 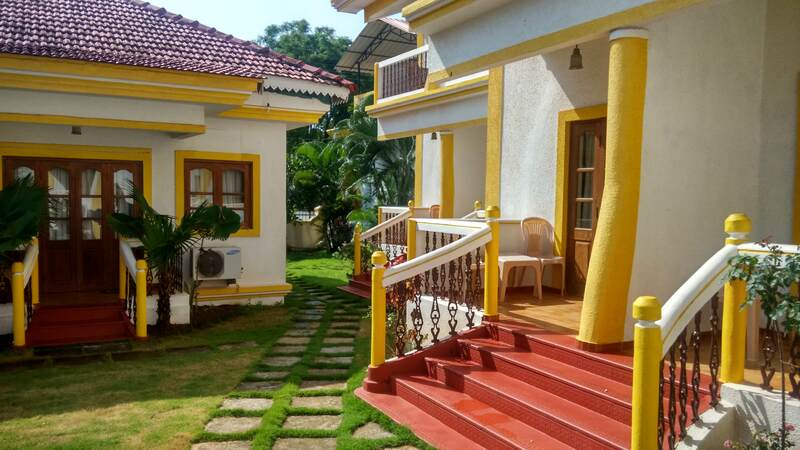 *Room : Decent sized rooms with the options of Double Bed /2 single Bed With LCD TV, Mini bar, Safe Deposit, Sofa, Balcony with ample space to roam around. Bathroom had Hot/Cold Water option 24*7. Complimentary 2 water bottles were given at time of check-in. Deluxe rooms had an additional Bath tub compared to Standard rooms. * Food : Breakfast spread was average (Again due to off season). What all it had was : Orange Juice, Bread/Butter/Jam, Cornflakes, Milk/Tea/Coffee, Egg and One Indian/Continental dish of the day. Availability was from 8am-10am. Restro – Bar was Cool and food flavours matched perfectly with our north Indian taste expectations. * Travel Desk : No separate travel desk but reception helps and guides well in planning local sightseeings. It also arranges for vehicles including Scooty/Car and Airport drop at reasonable rates . 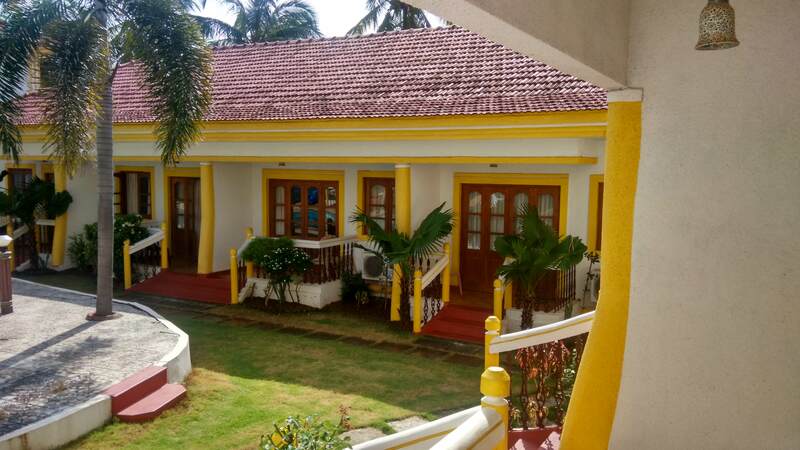 Overall, The stay was pleasant and being off season the place was non-eventful with zero activity but that is true for entire Goa from June till September. We would love to checkout this place again in peak season to tap on the real vibes of the place . Room Tip: Rooms near to Reception has Better Wifi signal ! Upcoming Post :: Goa during Offseason, is coming soon to enchant you! Register this blog and get it first in Inbox! Enjoy Travelling with #talesof FOTW by familyonthewheels! A nice option to have for the off season period. Breakfast spread does seem quite less though, even by those standards. I along with a few friends was planning to visit Goa soon. This sounds look a very reasonable option. Welcome to goa! There is a lot to do off season, like white water rafting in the mhadei , spice plantation visits, goa has close to 30 waterfall sites and the Goa tourism board has started taking treks every Sunday in the monsoons . The zoo and the wild life sanctuary, water park and indoor play areas are other things to explore during rains. I am from goa, and wrote a goa for kids post for my friend Alexa campaign aswell !!! With amenities provided, this seems to be value for money. The review gives quite some clarity and for sure, im going to take a room next to the reception. No wifi no life! An honest hotel review with pics is very helpful. It helps our family and friends for their trip. This is a nice description but the place over all looks a little average. No? I have never been to goa..and now a days i came across many post which talk about this place and makes me feel sad that i couldn’t make it till now. We too went to Goa in August. Our reasons were similar – peaceful beach experience at a reasonable price. Looks like an option to consider for stay during next visit ! Hi,I check your blogs named “Goa – Spazio Resort – Hotel review – Family on the wheels” daily.Your writing style is witty, keep it up! And you can look our website about powerful love spells.